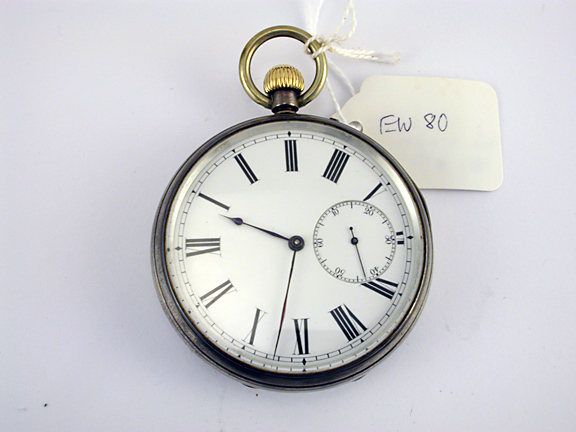 notes Gent's gilt silver, stem wound, open face pocket watch, movement marked French, S/N 31000, attributed to William French, Royal Exchange, London, circa early-mid 1870s. Case made by Hirst Brothers of 13 Arlington Street, Clerkenwell, EC, London. 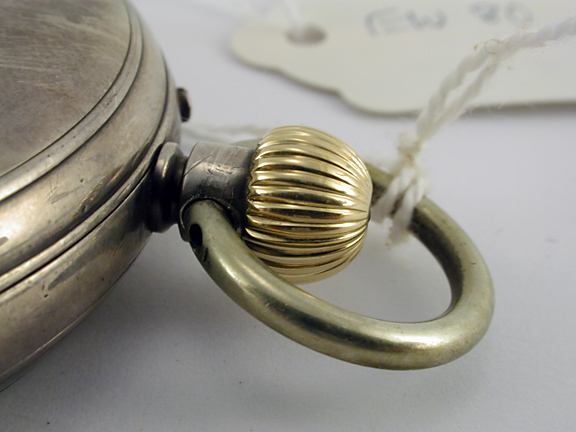 Size not provided - A gold plated, three leaf, open face pocket watch with polished outer cover and cuvette and a fluted gilt silver pendant and bow placed at the three position opposite the hinge. 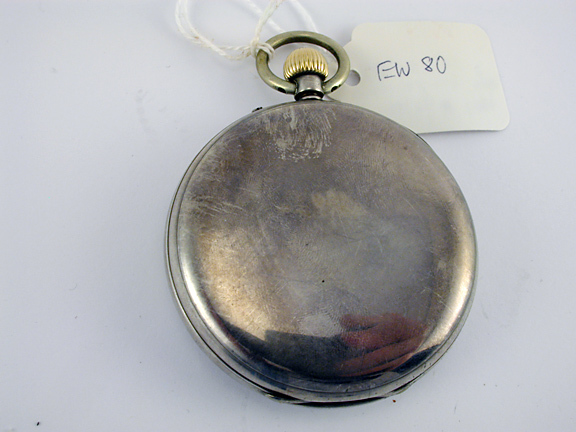 inside of the cover has the London Assay Office mark (a leopard head without crown), the lion passant for Sterling silver, the date Letter mark of an upper case 'A' for 1876 and J.H for the Hirst Brothers silversmiths who made the watch case for French. Unsigned enameled white dial with Roman hour chapter, closed minute track, subsidiary seconds @6 and English style steel Spade hands. Gilt brass three quarter plate jeweled movement lever escapement with bimetalic balance wheel and simple regulator marked for fast and slow in English. The upper plate is marked "French, Royale Exchange London, No. 31000". The Watch Museum listing says this is a stem wound and set movement. The client marks this as a stem wound and pendant set watch, so i am not sure which winding method is used here. Oxidation and loss of much of the gilding on the case. Extra Notes French, Royal Exchange movements are not uncommon and the variety dates from the early 19th century through the early 20th century. 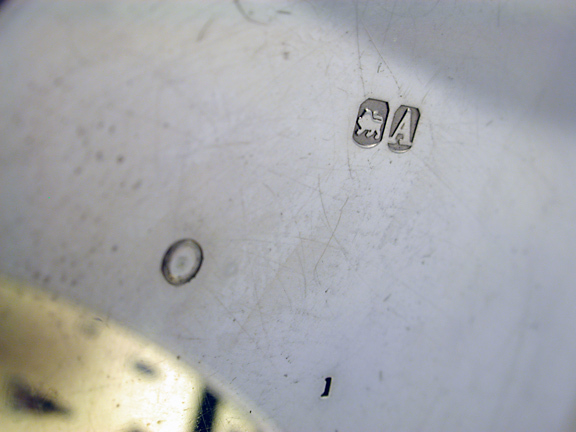 these are different watchmakers with the surname of French. James Moor Santiago French worked in Exchange and Sweeting's Alley from c. 1810-1844 and therefore this example is too late for him to have made it. William French had working dates on London of c. 1851-1881. 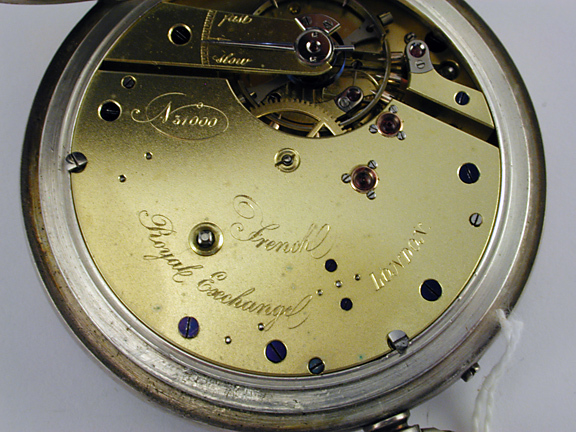 As an example, Brian Loomes lists watches marked "French. Royal Exchange, London" as being made from 1813-1919.